I’ve landed in The Netherlands and my first day in Rotterdam did not disappoint. 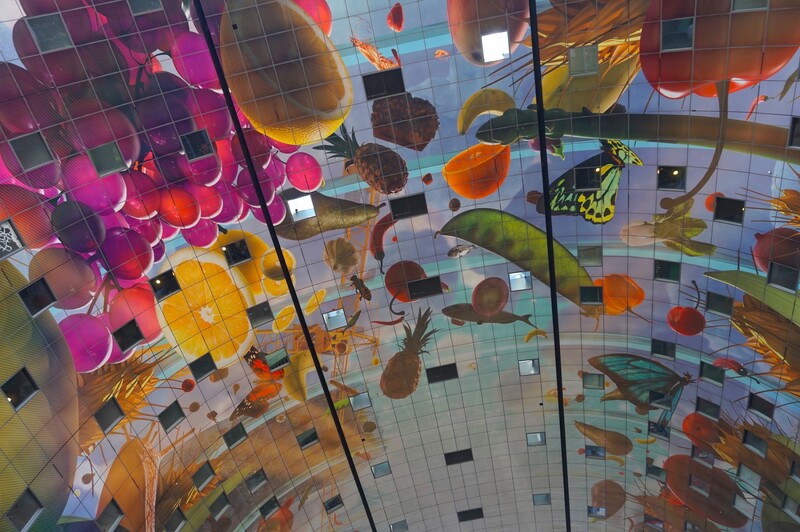 The ceiling of Rotterdam’s Markthal. Photo: Rebecca Rimmer. As I inhale dinner and cocktails at the vibrant Supermercado and attempt to report back on day one of my Rotterdam adventure, I really am struggling to keep my eyes open. I’m exhausted and overwhelmed by — not just the excitement of a whirlwind day, but really — the knowing how much there is to do here. I’m going to cram as much as I can into three days but really I wish I had a week or ten days to truly absorb everything this exceptional city has to offer. 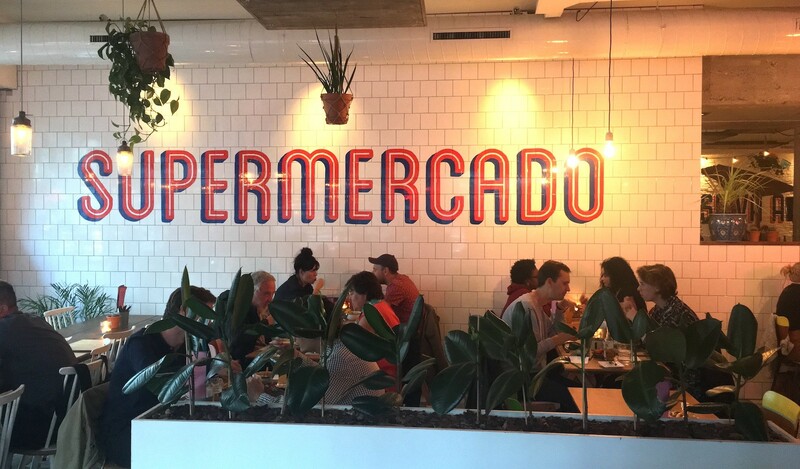 Supermercado is a Latin-American restaurant in the heart of the arts district in Rotterdam. Photo: Rebecca Rimmer. 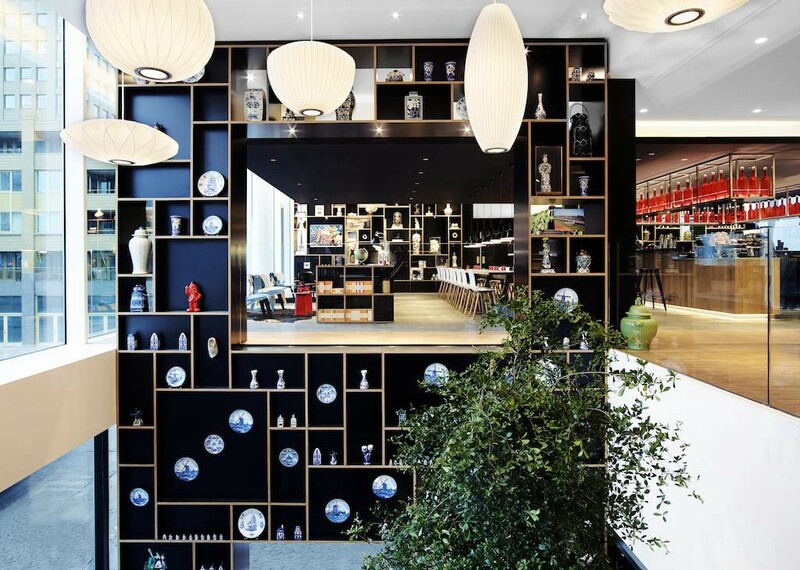 Rotterdam is a 25 minute train journey from Schiphol Airport or 40 minutes from Amsterdam itself. Arriving, it became clear very quickly to me that Rotterdam as a city has tons to offer, yet it doesn’t have that annoying busyness of a place like London or New York. Personally, this is what I look for in a trip away. Laid-back and slow-paced but at the same time thrilling and full of opportunity. Views from the harbour tour. Photo: Rebecca Rimmer. 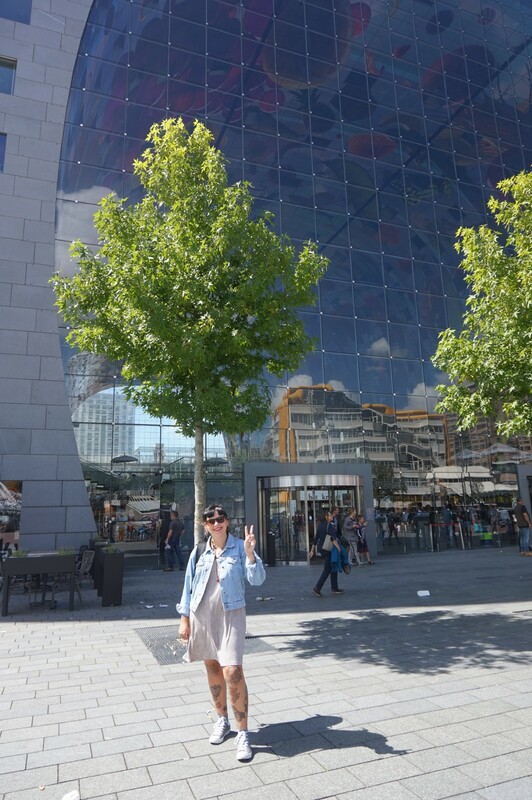 Firstly, I grabbed a quick lunch at Rotterdam’s Markthal which is a huge indoor market home to 176 different nationalities and food stalls, encompassed by a 40-metre-high ceiling that is decorated with colourful art. The size of the Markthal is incredible — couldn’t get the top of it in a photo! I was told by a couple of the tattooists working in Rotterdam that this cultural diversity is what makes it such a great place to be… not just the infinite range of food choices, or shops and bars inspired by other creative corners of the world, but a feeling of interculturalism you’d find somewhere like London but, like I said, minus the headache that often comes with a busy and expensive capital. The first tattooist I was due to meet today was located in the arts district. 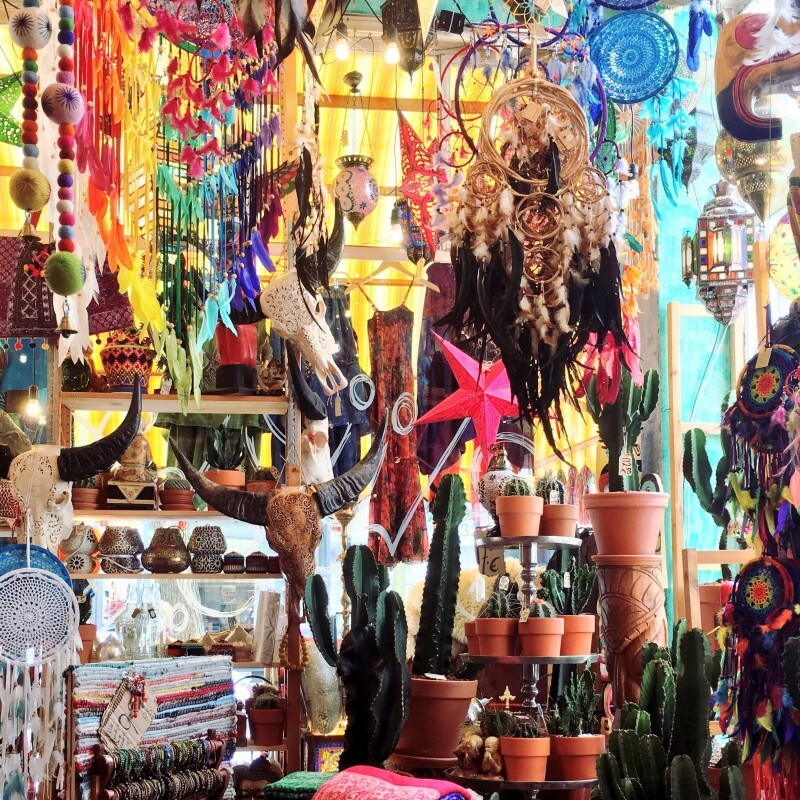 The Witte de Withkwartier has the vibe of somewhere like Camden or San Francisco’s Haight and Ashbury — Moroccan-inspired interior stalls, spiritual crystal shops, second-hand book palaces, arty home boutiques… it’s a good job I was meeting someone otherwise I could have spent a small fortune. In fact, I’ve been here 24 hours and I haven’t seen a single international chain store or restaurant yet — OK, there was a Starbucks at the train station but other than that, I feel like I’m actually enjoying and supporting intriguing and authentic independently-owned businesses. 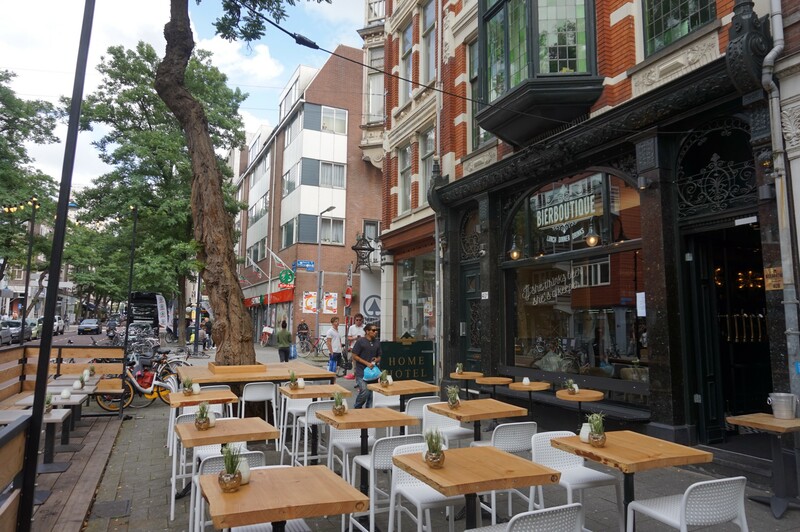 During my interview with Spaceman, he tells me that it is perhaps the busiest corner in Rotterdam, that when he finishes work the young creatives of the city will be spilling out onto the streets here. 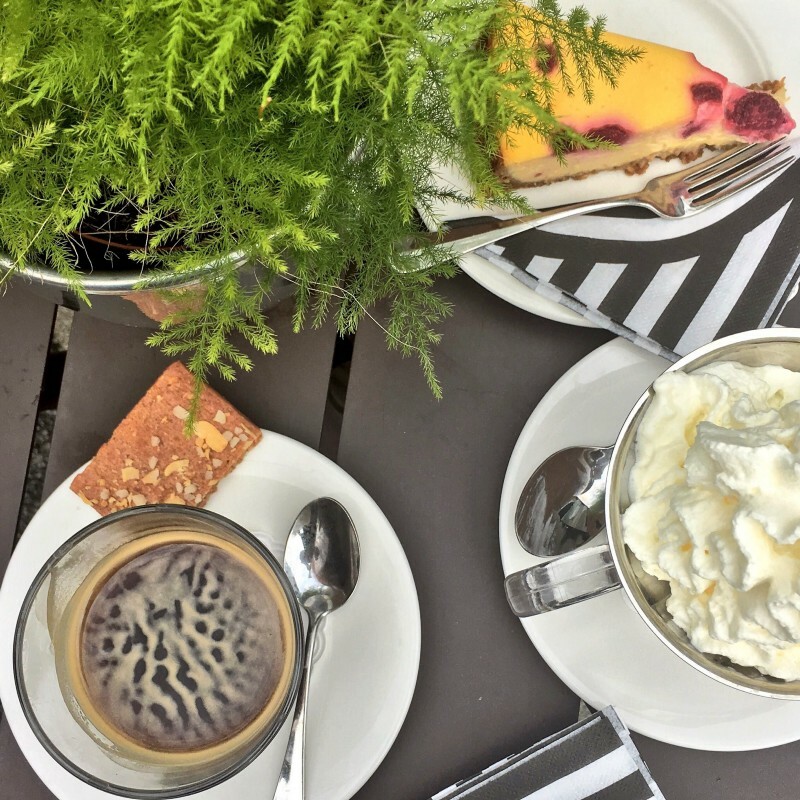 There are loads of restaurants and bars to choose from in the Witte de Withkwartier areas. Don’t let the empty seats fool you — this was taken very early in the morning and by lunchtime the street was buzzing! 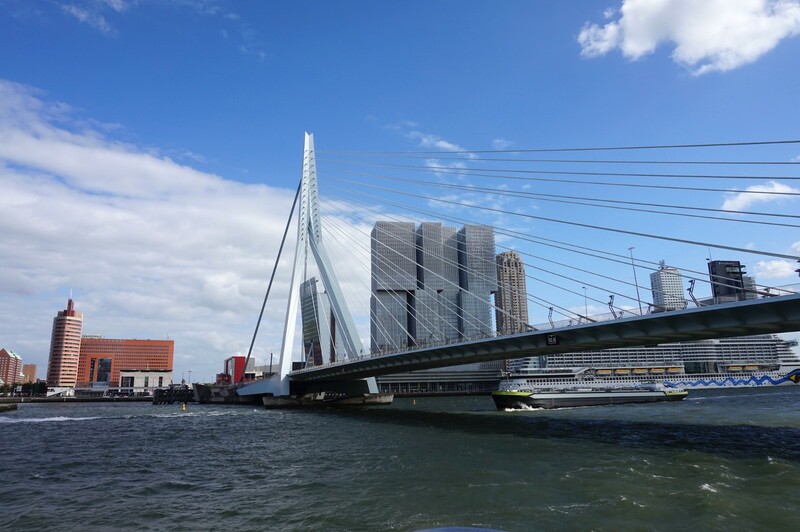 Our day ended with a 75 minute harbour tour during which a boat takes passengers around the highlights of Rotterdam’s humungous port which holds the title of Europe’s largest — every year 30,000 vessels make a stop here. To give you an idea of the breathtaking views seen during our tour, I’ll tell you that the entire harbour stretches over 2,990 acres. Yep. I am sure the boat ride skimmed the surface in my unearthing of Rotterdam’s shipping history. There’s the old shipping district to see as well as various maritime sightings and museums. I’ve got my checklist for the rest of the week which includes more art, more tattoos and no doubt more talk of sailors. 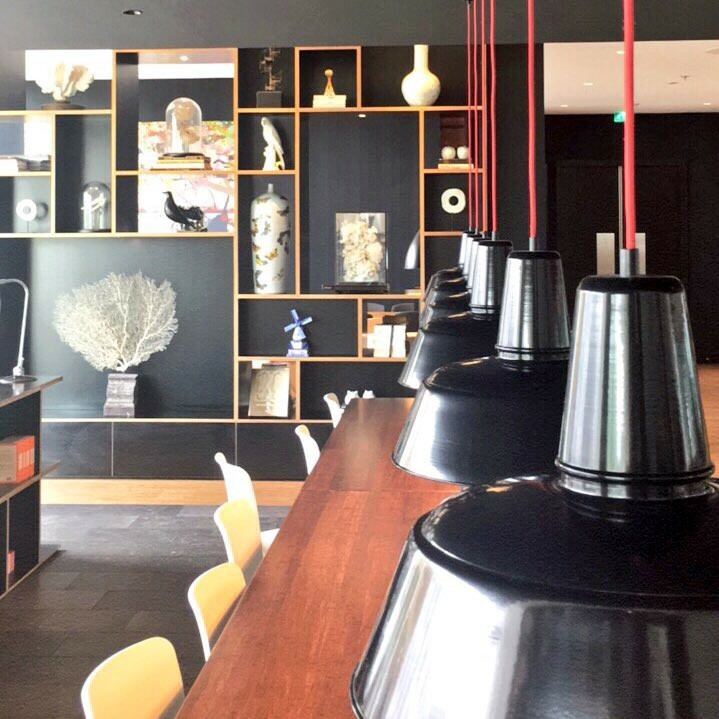 I’m in love with our hotel! Spending all my spare moments at their coffee bar and reading the books on the many shelves that line the walls. 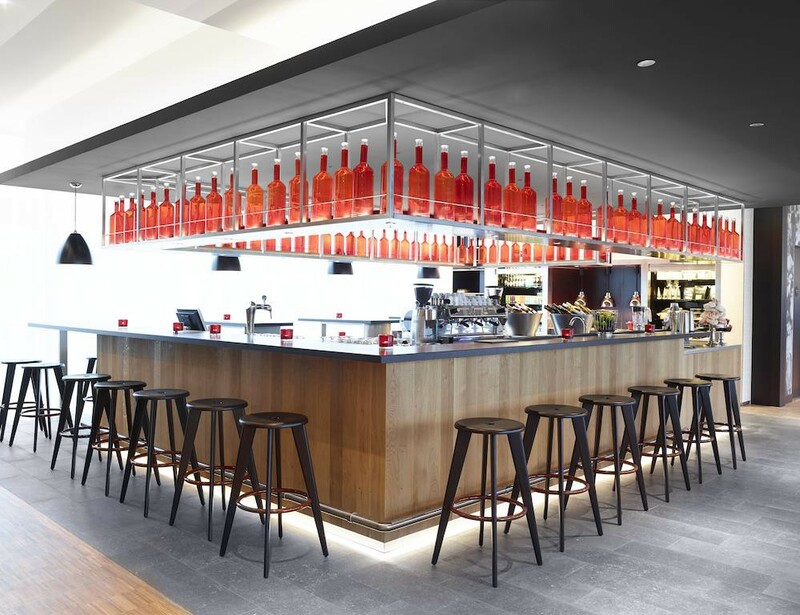 Photos: Citizen M.